Chance Kelly is an actor you probably recognize but whose name you may not know. But you should. After 20+ years in the business and with over 70 acting credits to his name, Kelly is one of the hardest working actors in TV and film. He has nailed roles in high-profile projects like Clint Eastwood&apos;s 2014 Iraq war drama, American Sniper, and other feature films including The Taking of Pelham 123, Teenage Mutant Ninja Turtles, and Unbreakable. 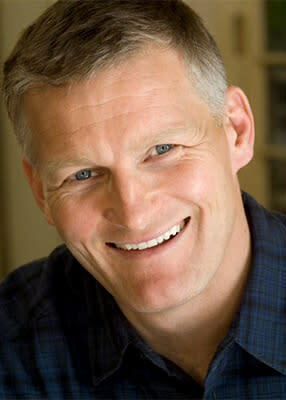 His television work includes his breakout role in Generation Kill, plus roles in House of Cards, The Blacklist, and Homeland. Most recently, he played Detective Ed Cutler (opposite actor David Duchovny) on NBC&apos;s Aquarius, a cop drama about the 1960s Los Angeles police investigation that led to Charles Manson and his family. The show—and Kelly&apos;s character—was just picked up for a second season. Surviving into Season Two is good news for Kelly, who has played seven different characters on seven different Law and Order episodes, and posted photos of himself on social media with the hashtag, #LetChanceKellyLive. "They usually bring me in and kill me off pretty quickly," quips Kelly. Luckily for the entertainment world, Kelly stuck with acting, and is now trying his hand at producing films, starting with his own script, Inside Fighter, which he plans to begin filming in Westchester County in early 2016. He&apos;ll play Billy "Bomb" Hayes, an aging ex-boxer, down on his luck, who is trying to reorder his life and relationship with his 10-year-old son. The film will open with shots of one of Westchester&apos;s best-known iconic film locations, Rye Playland, says Kelly, a former amateur boxer himself. The rest will be filmed throughout the county. "Westchester is almost like a character in the film," says the actor, who grew up in Armonk, attended Byram Hills High School and now lives in New Rochelle with his wife and three children. 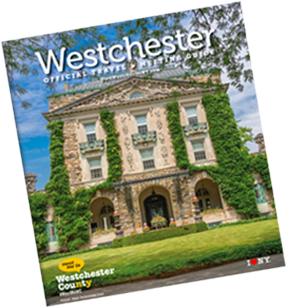 With its great diversity of people and locations, Westchester is "a very interesting backdrop for any story," adds Kelly. He&apos;s simultaneously working on another screenplay set in Westchester County, about a lacrosse team, which focuses on themes of love and family. In the meantime, Kelly is set (and excited) to begin shooting Season Two of Aquarius in November. Kelly says about working on the show, "David Duchovny is the brand, and we are all working with him to support the show. But he&apos;s totally cool and down to earth. I hope my character, who is a bit of a hothead, will develop into a more complex character next season."